64 Ounce Games is a company started by Richard and Emily Gibbs who wanted to make games more accessible for the blind and visually impaired. They create kits to go with games that can include braille dice, card sleeves with braille, braille tokens, and QR codes that will link to the text in audio format. The kits enable sighted players and visually impaired to play together, so the experience of gaming is inclusive. The kits will need to be assembled with assistance from a sighted individual, but once assembled the games become easy to play for all. The kits can be purchased from the 64 Ounce website. There are kits for many great games, such as Card Against Humanity, Sushi Go, and Coup. As a tabletop gaming fan, I really love sharing the fun and community of gaming, and was really interested and seeing this company making the fun of gaming more accessible. 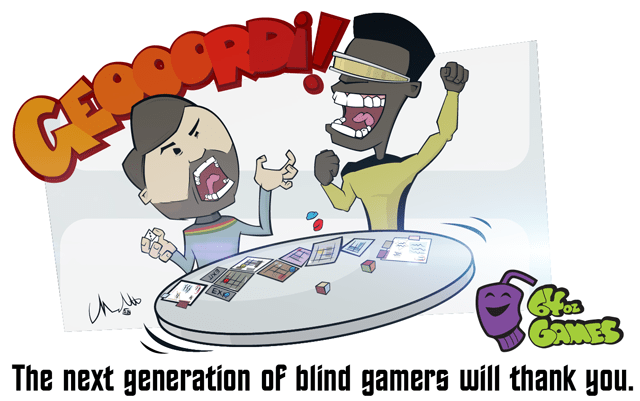 If you also love tabletop gaming and making things more accessible to the visually impaired, go check out the 64 Ounce website or tweet @64ozGames and show your interest. 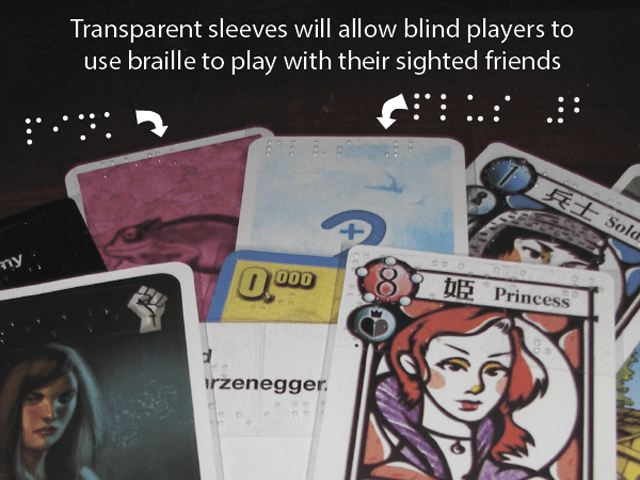 This is incredibly awesome – what an awesome idea and a great make great games more accessible. Thank you so much for the feature! This is something we are very passionate about. Right now we are running a kickstarter for Braille dice and tactile Rpg accessories! We have funded and reached our first stretch goal but we have even more plans for the future. This is so amazing! I have a couple visually-impaired friends who would be thrilled to hear about this. Thanks for sharing! wow!! This is amazing! Thank you for sharing!!! This is great, always good to see a company taking the initiative on something like this. Thanks for the article! Right from the start this topic interested me, games for the visually impaired and the solution is very easy. Thank You for sharing this, this is actually very helpful.